Since watching Jessi Arrington’s video, I have decided to see if I can buy only vintage clothes. 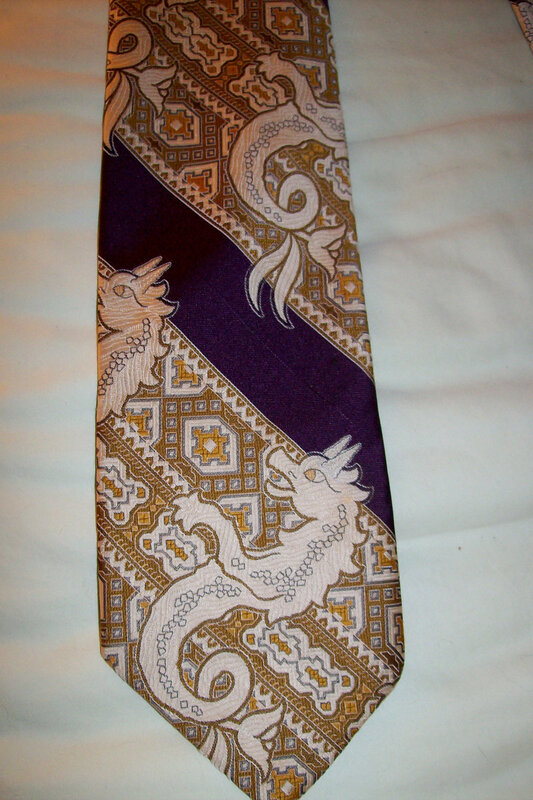 I have gone on several Goodwill scouring trips so far, and hands down, my best find was this men’s necktie by the famous interior designer David Hicks. 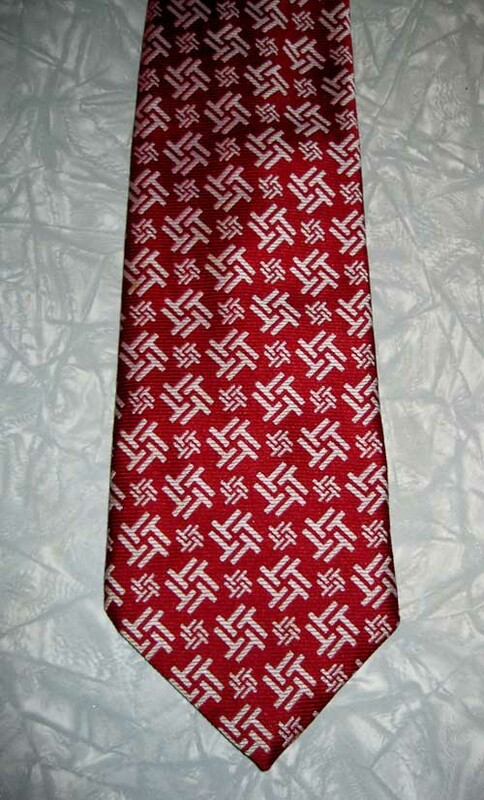 In fact, this tie is what launched me on my recent research and story David Hicks: Definitive Online Guide. Look! 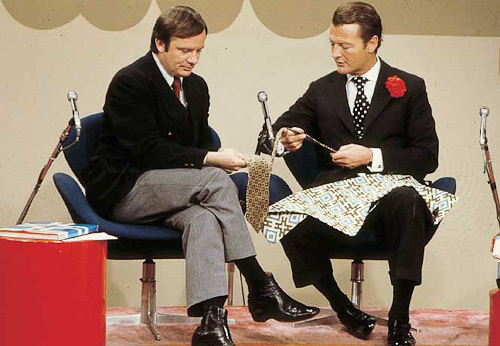 An archive photo of David Hicks (right) on a TV show (who knows the host?) showing off his line of neckties! Photo used with permission of The Estate of David Hicks. 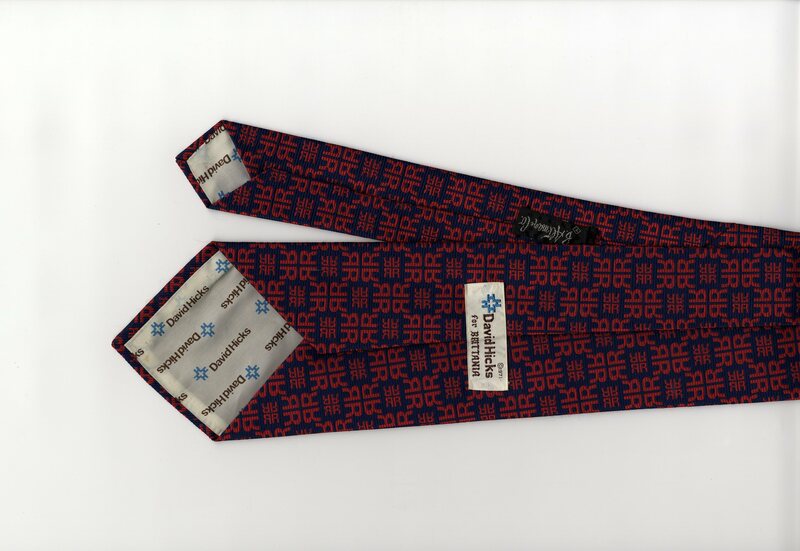 “My tie” has a copyright date of 1971. Labels: Brittania and B. Altman. And get this: The fabric — which seems to be a typical David Hicks style design — a tight, bold geometric, no milquetoast here — is “RR.” RR = Retro Renovation, get it? The price for this wonderful piece of wearable history, in perfect shape? The Retro Decorating Gods were smiling upon me: $1. The tie is that 70s style — wide. I don’t think DH will mind, he is into this groove. 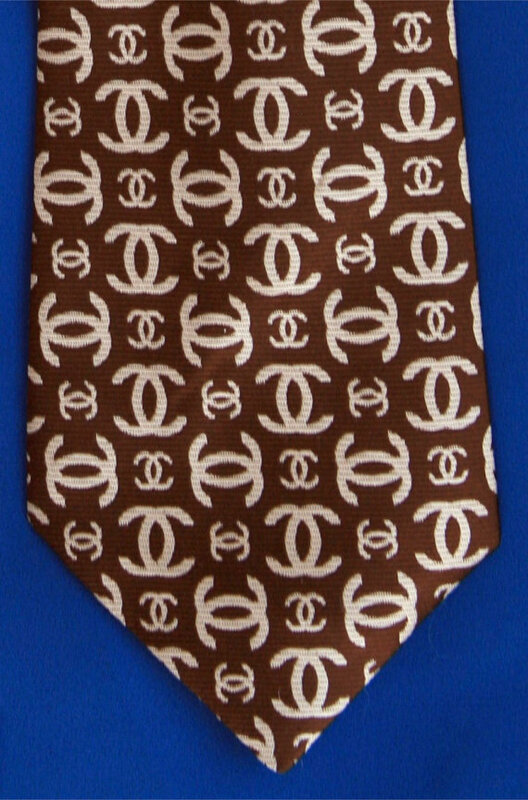 I will have the tie dry-cleaned, and DH will get it for Christmas. Hey: DH gets a DH! I did a little online research. 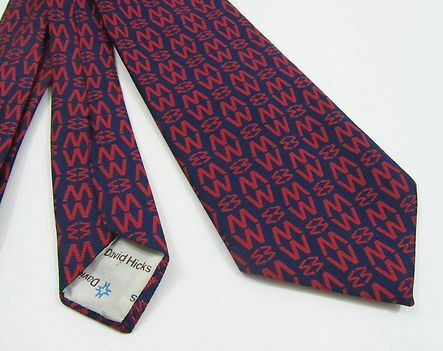 Looks like these alphabet ties were a “thing”, but there were other designs, too. 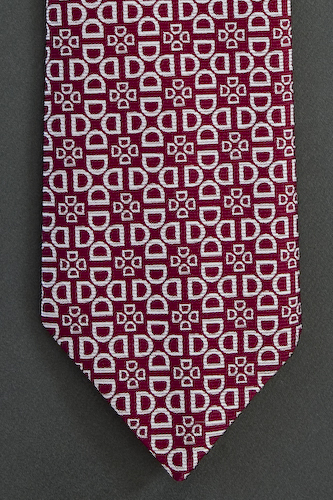 Above: David Hicks DD necktie at Ties2Pillows.com, $35. 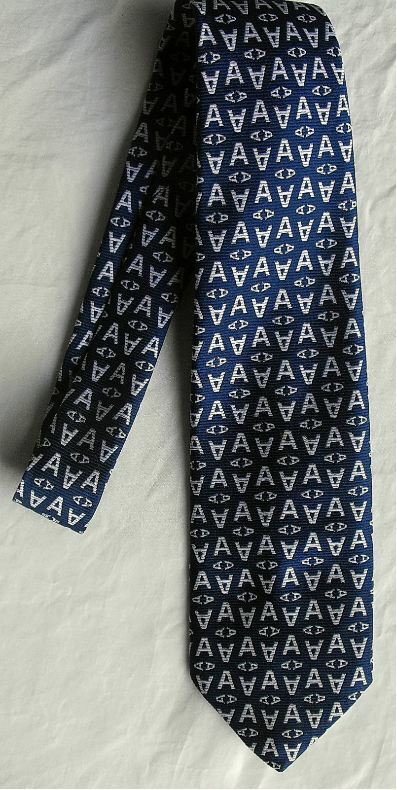 There are two David Hicks neckties on etsy.com right now — a CC ($35) and a sea monster ( just $12), snip at right. 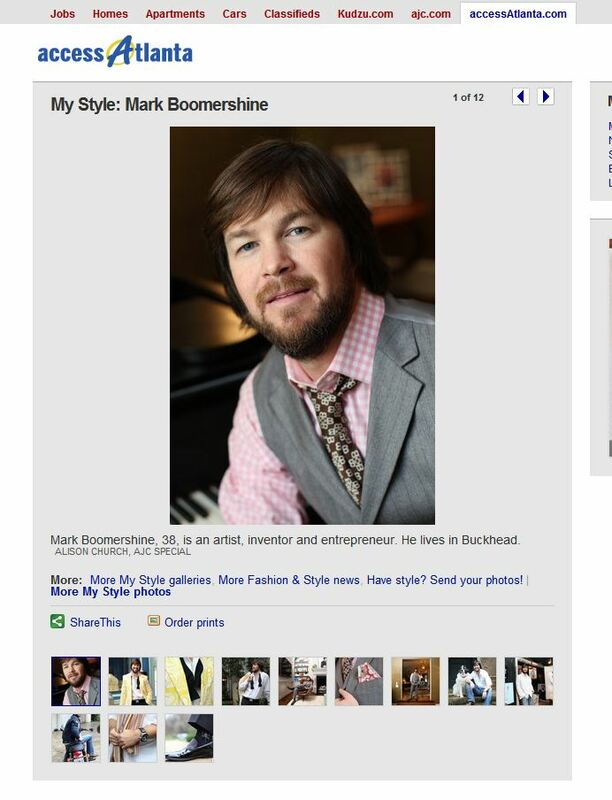 Oh, and click here to see a dapper fellow in Atlanta showing off his prized BB. 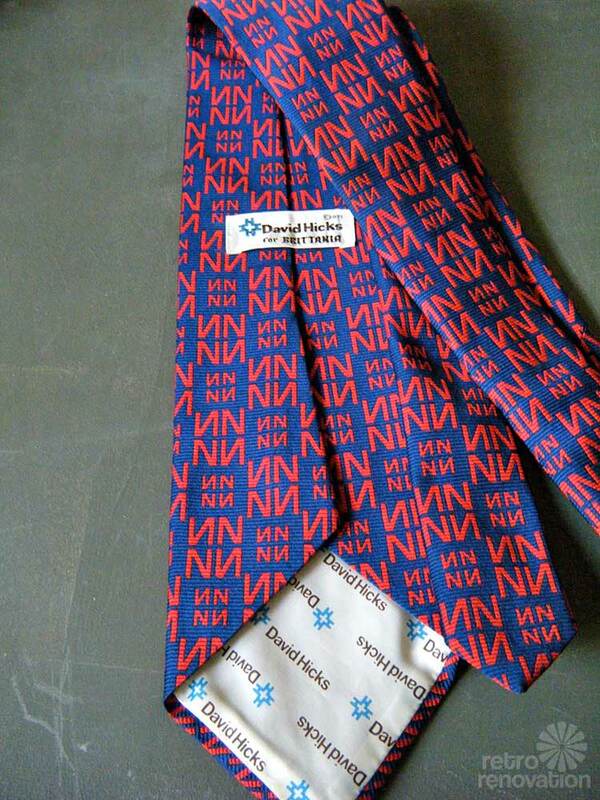 Meanwhile, Sherry wrote in with at David Hicks TT necktie — It’s for sale at her etsy shop here. The NYT Magazine (link in my original online guide) said that David Hicks carefully specified all the details of his burial. 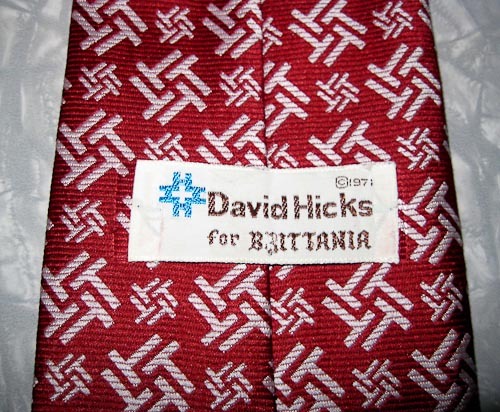 Included: He was to be buried in a David Hicks tie. Nicely done. 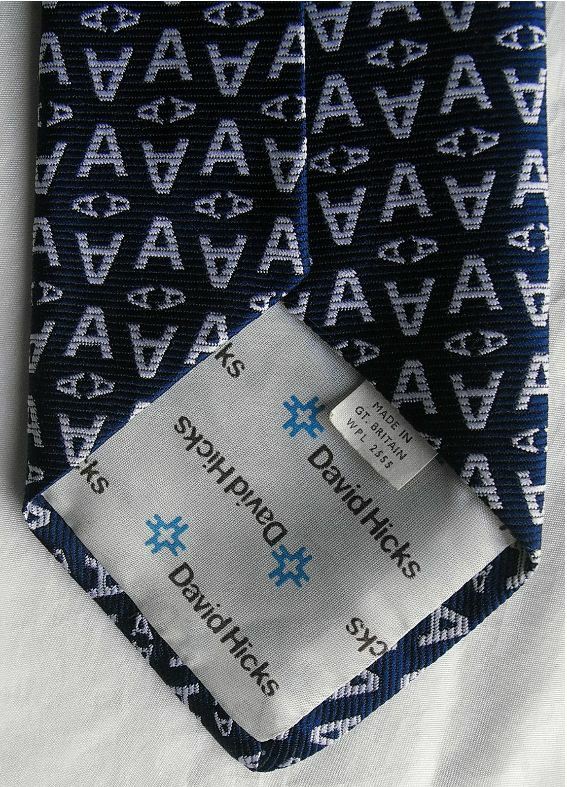 Above: Photo of David Hicks “S” tie courtesy of ebay seller weeevers and is currently for sale. 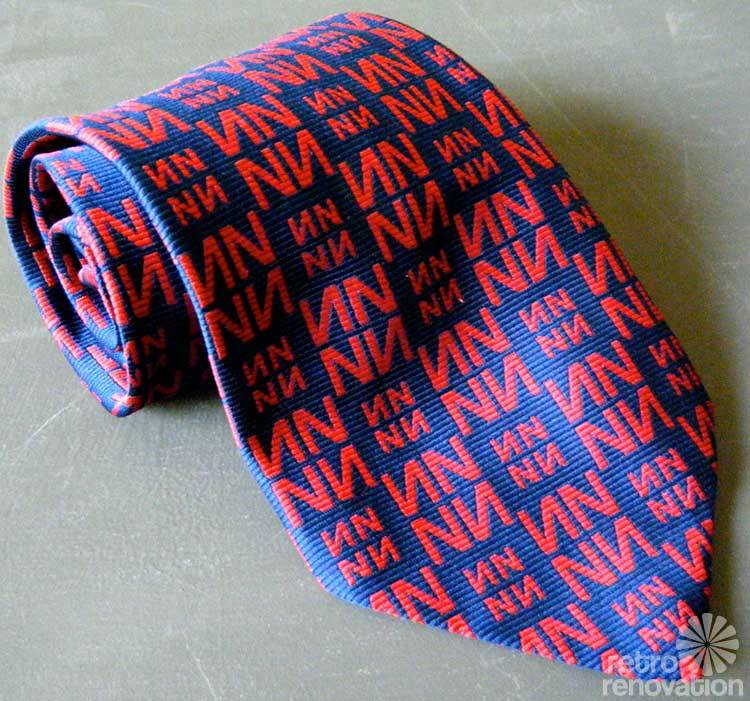 Above: David Hicks “N” tie photos courtesy of Etsy seller KaiserVonVintage and is currently for sale. 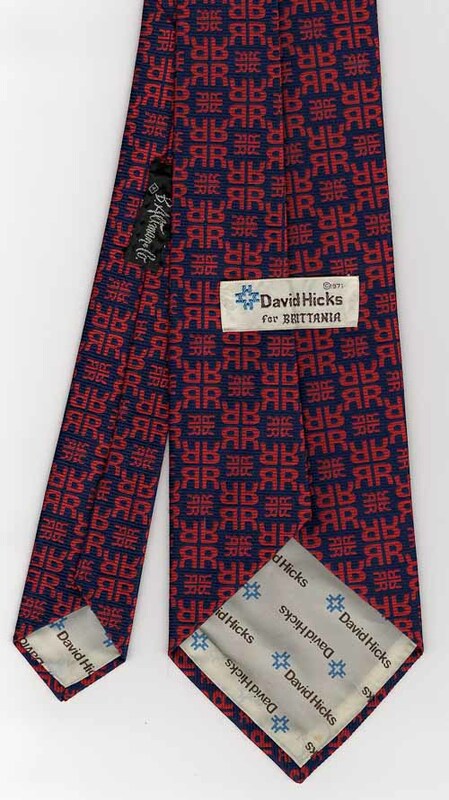 I am starting a slide show of David Hicks neckties — I have a new, lifetime goal to collect A-Z, if they exist. I have a TT coming from Sherry. If you have a tie not shown, I would be ever so grateful. Email your photos to me at: retrorenovation [at] gmail [dot] com. 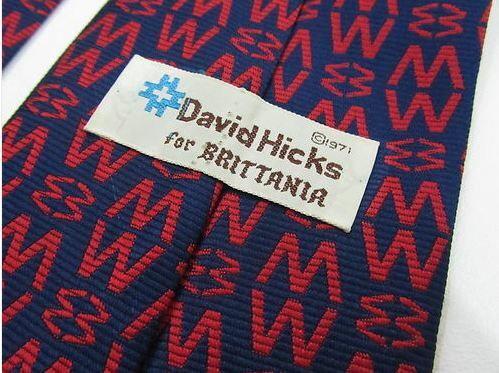 After I read about David Hicks ties this morning I had to check through my inventory at my vintage store. And I found one!! It’s the letter “T”. What fun it would be to collect the whole alphabet. I will send you pics, as soon as I figure out how. I love the coincidence of the RR — how cool for DH. 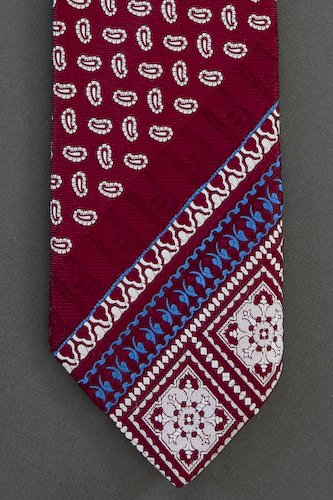 I’m particularly fond of the Don Loper tie line. I have several in my collection. Thanks, Ben, I’ll put it on the list to check out for 2012! Wearing vintage is ecologically friendly and definitely the most fun way to recycle! I’ve only ever worn vintage or second hand clothes my entire life. Getting a big box of hand-me downs in the mail from my cousins was seriously the best day ever, which sounds weird, but I just love old clothes that have already been loved! I turned my obsession (as it grew into a very space-consuming collection) into a profession. Check out PlanetQueenVintage.etsy.com to see some of my collection for sale there. Soon I hope to add more mid century furniture and light fixtures (and a sink and countertop perhaps?) to the shop!